IRVINE, California, August 24, 2017 – McDermott & Bull, one of the largest executive search firms within the Hunt Scanlon Top 50 Recruiters list, as well as one of Forbes’ Best Executive Recruiting Firms, has been retained by Evans Manufacturing to lead their search for a Vice President of Supply Chain. 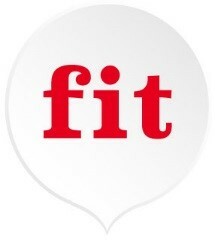 This executive recruiting engagement is being conducted by The fit Practice at McDermott & Bull, which includes Jeff Black, Partner; Jason Pinegar, Associate Principal Consultant; Trey Mullen, Associate Consultant; and Kelly Nguyen, Executive Search Associate; as well as Sara Acosta, Recruiting Associate. This is an ideal opportunity for a successful Supply Chain leader who is looking for the chance to run a growing organization with excellent products and competitive advantage in the market place. This is a role for a leader with an entrepreneurial spirit, who enjoys working in a lean, nimble environment, and being able to have an enormous impact on the direction of an organization. Reporting to the CEO, the Vice President of Supply Chain position requires a talented, driven, experienced, professional supply chain leader who can support the operations team and work closely with management across all key operations as a business partner. Based at headquarters, this highly visible role will be responsible for leading the Supply Chain – Procurement, Production Scheduling; Inventory Management; Capacity Planning and Logistics (excludes manufacturing operations) for the Company. The role will include direct reports in the US and Mexico in the Materials, Procurement, Facilities, Planning and Distribution functions. The Vice President of Supply Chain will interact with executives, managers and employees at all levels. The ideal candidate will bring confidence backed by ability, a hands-on approach, a strong sense of ownership and purpose, as well as abundant passion for their work. The Vice President of Supply Chain will be an executive who is extremely comfortable rolling up their sleeves to get the job done as well as able to effectively lead a team and develop them to increase overall team and organizational performance. Founded in 1983, Evans is proud to offer their customers a broad array of high value promotional products delivered with consistency and reliability that become the gifts that leave a lasting positive impression. Alan Vaught, CEO, has grown Evans into an influential industry supplier. The company has also led the way in the market toward paperless operations and just-in-time manufacturing processes. Under his leadership, Evans has maintained a strong reputation in the industry for its innovative approaches and with distributors, winning multiple awards, including recent and continued recognition within the Counselor’s Distributor Choice Awards for 2016. McDermott & Bull is a retained search firm that partners with leading companies to identify and recruit leaders for permanent and interim roles. All of the practice leaders within the firm’s Executive Search business have deep executive experience and are uniquely positioned to address the dynamic leadership demands of public and private companies across nearly every industry. McDermott & Bull’s Interim Leaders team is equipped to service the needs of its clients by placing senior-level executives into temporary roles during critical periods. The firm’s Executive Network program provides valuable resources for and offers opportunities to build meaningful relationships with thousands of C-Suite and VP-level executives throughout the country. The formation of McDermott & Bull Europe, which stemmed from the acquisition of Interconsultants Executive Search, gives the firm access to international insights and expertise and makes McDermott & Bull a true global player.